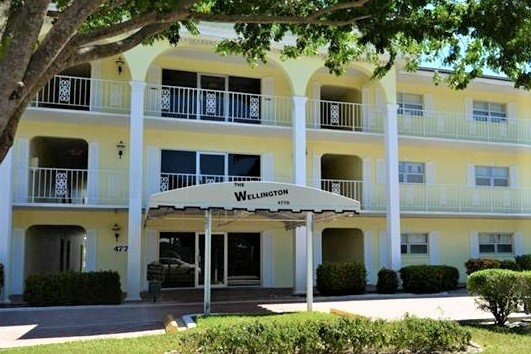 The Wellington of Fort Lauderdale is located in the heart of the Coral Ridge neighborhood of Ft Lauderdale on Bayview Drive at 47th Street of a canal which leads directly to the intracoastal. Read more about the Wellington Condominium. The Wellington Condominium is two buildings on the corner of 47th Street and Bayview. The property is waterfront and subject to availabilty can moor approximately a 40 foot boat. The community has two pool, a work out area, and common laundry facilities. No rentals are allowed for the first two years of ownership and this community does not allow pets. Eric Miller and Associates, are always available to help you buy or sell real estate in the area and will be happy to show you The Wellington. Contact us directly at (954) 383-8170.